A few months ago there was a flurry of attention around Sam Harris’s book The Moral Landscape and lectures he gave around the time of its publication. A lot of it critical – but not all. I thought the value of this book is that he did take on the problem of moral relativism in a way that religious moralists have been unable to. I think his contribution was valuable for that. But, people seem to be ignoring a better book recently published on this subject. This is Patricia Churchland’s Braintrust: What Neuroscience Tells Us about Morality . I highly recommend it as being very sensible and enlightening. 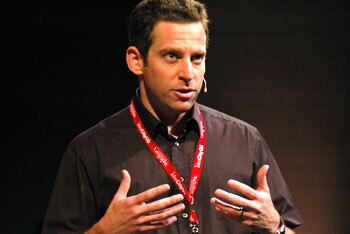 it also will answer some of the questions readers might feel Sam Harris was unable to. Pat Churchland devoted little of her discussion to the unconscious, or subconscious, aspects of human morality. The conscious aspects are important to understanding social rules and lawmaking, and to understanding how humans set up moral societies. But at the day-to-day and personal level our instincts and intuitions are critical. We operate largely in the automatic mode. I am sure Pat acknowledges the important role of the subconscious, it’s just that in this discussion it was not really covered. 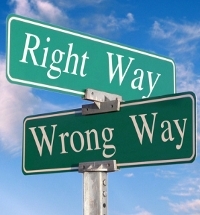 2: What do we mean by “right” and “wrong”? I would love Pat to delve into this aspect more deeply. She does divorce the concepts from any absolute or objective meaning, particularly a divine one. At the same time she is not adopting a purely relativist approach. I feel sure that she would accept that while morality is not objective, it does at least have a objecitve basis in the facts of situations and in human make up. Particularly in the human brain. However, most people do feel there is something special about saying something is “right” or “wrong”. It feels absolute or objective. 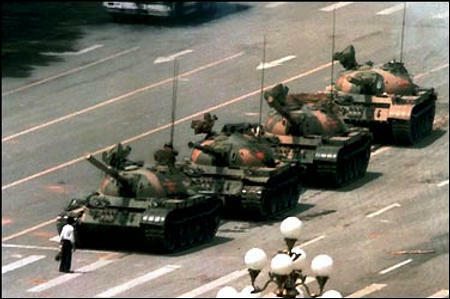 We are not just expressing an opinion. Personally, I think this is part of our evolved moral intuitions. We have evolved to operate in an automatic mode – we just don’t have time to apply reasoning and logic to every moral situation we face. Consequently there needs to be some sort of emotional/intuitional feeling about our possible responses and decisions. We need to feel that we are doing the correct thing. That it is “right.” Or that something we find disagreeable or repugnant is “wrong.” Emotionally, not logically. Churchland does describe in her book how these intuitions can evolve naturally from the interests of living organisms. So we have these strong feelings/emotions of “right” and “wrong.” So strong, and partly because they are automatic, they can at times seem external. It is no accident that cartoons will often portray our conscience as a little being sitting on our shoulder and advising us. That is what it feels like. So I can see why many people will argue that our concepts of right and wrong are objective, presented to us externally (and therein we get the leap of logic to divine beings and divine commands). But we can see the intuitions of “right” and “wrong” are really evolved. Not objective or absolute. And, capable of changing over time as society changes or more information is required. This is quite consistent with an objectively based morality. I found Pat’s comments on Sam Harris’s book far more critical than I have heard from her in the past. They are friends so her criticisms are not a personal attack – they are the evaluation of a philosopher and neuroscientist. Consequently her criticisms are far more relevant than those made by theological critics. We all know what is driving them, and that is why their critiques usually have no value. Those articles represent my thinking as a result of the New Science of Morality Seminar (see The new science of morality, Is and ought and A scientific consensus on human morality) and the Great debate “Can Science tell us Right from Wrong?” (See Telling right from wrong? for more details of this debate and workshop). Effectively I have tried to integrate the psychological approach of the Edge seminar with the more philosophical and neurobiological approach of the Debate. The reflection was also stimulated by reading books by Sam Harris (The Moral Landscape), Patricia Churchland (Braintrust: What Neuroscience Tells Us about Morality ), Jonathan Haidt, Marc Hauser, Matt Ridley, Stephen Pinker and others. I think we may be seeing the beginning of a new wave of popular science books on morality. 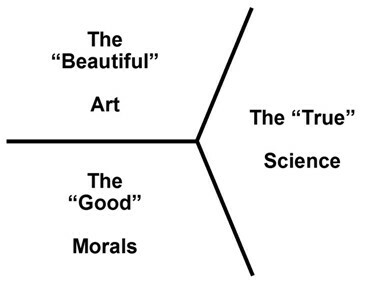 Sam Harris‘s The Moral Landscape got wide coverage and sparked several high-profile debates on the subject (see The new science of morality, Is and ought, A scientific consensus on human morality, Waking up to morality, Can science shape human values?, Telling right from wrong?, Telling right from wrong?, and Craig brings some clarity to morality?). Now we have Patricia Churchland‘s new book Braintrust: What Neuroscience Tells Us about Morality . This came out at the end of March and I got my copy the other day. I have just read Chapter 1 and feel this will be an important book. In many ways it will probably complement The Moral Landscape because it deals clearly with some of the critiques made of Sam’s approach. Particularly those made by scientists and non-religious philosophers. I hope it sells well. Churchland doesn’t have the high public profile that Harris has. But she is eminently qualified to cover the subject as a philosopher with a special interest in neuroscience. And the time is ripe for this sort of coverage. I just hope some fire and brimstone Christian apologists attack the book (as with Stephen Hawking’s The Grand Design). That would help get it noticed! It’s also very readable – always important in a popular science book. How did he know it was the right thing to do? Sam Harris caused a bit of a stir with his recent book “The Moral Landscape.” While it upset religious apologists (gods didn’t come into his argument) it also caused debate among philosophers, scientists and fellow atheists. Clearly his contribution was welcome and useful – but not all agreed with his ideas. Most, but not all, of the criticisms relate to the question of a foundation or basis for human morality. I will leave aside, for the moment, the Christian apologist positions – which were recently re-rehearsed by WL Craig in a debate Is Good From God? – this caused a flurry amongst apologists who approach all of Craig’s debates like bigoted and vocal fans at a boxing match. This position relies on a naïve dogma that their god provides a “sound foundation for objective moral values and duties” – an axiomatic assumption which is never proven and is problematic even for many Christians.